Being Frugal and Making It Work: Spice Things Up This Christmas ~ Give the Gift of a Monthly Pepper Box! 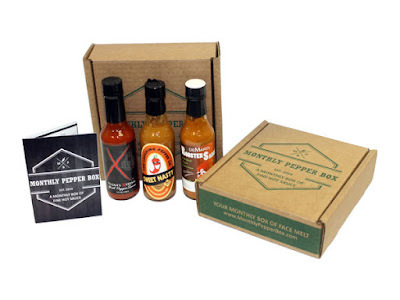 Do you know someone who would love to receive a Monthly Pepper Box subscription? What a fun idea and a great gift. I don't do spicy though... I'm a mild kinda gal! We met some people at the cafe who mentioned SpiceDiscovery.com - seems like an upcoming service with similar ideas. Cheecky Momma, I may try both of these pepper and spice boxes!